Here we go! 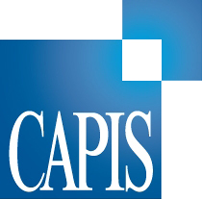 | Morning Macro News | Capital Institutional Services, Inc. Happy Thursday to you and Synthetic Friday to me! Well my last comment from Thursday Feb 11 (read it again here) was perfect. To wit, I wrote that I still feel the market is heading lower over the next few years, as the inevitable 200 SMA crossing below the 400 SMA would happen sometime this week perhaps, but that we were seeing some great buying at the new lows of year (LOY) and that a trade’s a trade so: Buy It. Of course buying it would have worked swell as the SPX has risen 100+ points off those lows in 5 days! Now we’ve had 3 up days in a row, made our double bottom “W” formation, and now must get above 1950 to “complete it” and see us move to test the 61.8% retracement level at 1962.31, the 50% retracement level at 1991.74, and of course 2000. 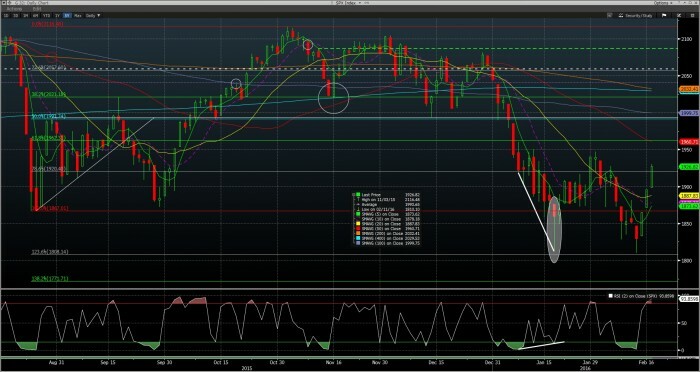 The market has done VERY well off that double bottom as we’ve looked to make New Highs On Close (NHOC) on Friday and Tuesday, and almost the same yesterday (Wednesday). Typically you get a minor pull-back after 3 up days, so let’s see if that occurs today or if this positive mojo keeps us trucking.. THAT said… as of yesterday’s Close, the 200 SMA is approximately 3 points above the 400 SMA, and should be falling below it within the next few business days. As anyone who’s read what I’ve been espousing since December now, this historically has been a BIG technical negative occurrence. I refuse to ignore it, and therefore will stick to my technical guns that this will see us drop over the next few months / years to the 1700’s, and potentially lower to 1576ish, if pressure is too much. I obviously don’t think you should get short yet, and would prefer some confirmation of a sort, but a “stupid” trading set-up would be to short the SPX at the Close the day the 200 officially drops below the 400. If you look back to 2008, you’ll see that it happened in April 2008 with price below the Cross, and in May 2008 price tested the 200 & 400 SMA’s from below in the 1400 areas… before beginning its massive decline lower into the March 2009 lows of 666. If this same pattern happens this year as well, then you can look for price to come test above 2000 sometime in March, testing the 200 & 400 SMA’s, and then looking to move lower going into the summer months. Good Luck and have a most excellent weekend. Per this morning’s Bloomberg Daybook: (Bloomberg) — European shares rise, with the Stoxx Europe 600 index extending a two-week high. U.S. stock index futures little changed, Asian shares rise. Wal-Mart, Duke Energy, Perrigo to report earnings.